Lets Cook Cookware Teflon nonstick mini loaf tins, £12 for six, amazon.co.uk. The perfect size for these easy, classy bakes. Preheat the oven to 180C/gas 4. Line four 9.5cm x 6.8cm x 4.2cm mini cake or loaf tins with greaseproof paper. Place the caster sugar, orange zest, juice and rosemary in a saucepan over a medium heat. Stir from time to time, and when the sugar is dissolved and you have a nice clear syrup, set aside and leave to cool completely. Sift the flour, bicarbonate of soda and baking powder into a bowl. In a separate bowl, mix together half the yogurt with the vegetable oil and egg. Pass the syrup through a sieve and stir into this mixture. Add the dry ingredients to the wet ingredients and mix together until there are no lumps. Divide the mixture between the mini cake tins and bake for 15 minutes on the middle shelf of the oven. When ready, allow to cool slightly in the tins then transfer to a wire rack. Simmer the pomegranate juice in a small saucepan until reduced to about 50ml. It will be thick and syrupy. Allow to cool completely. 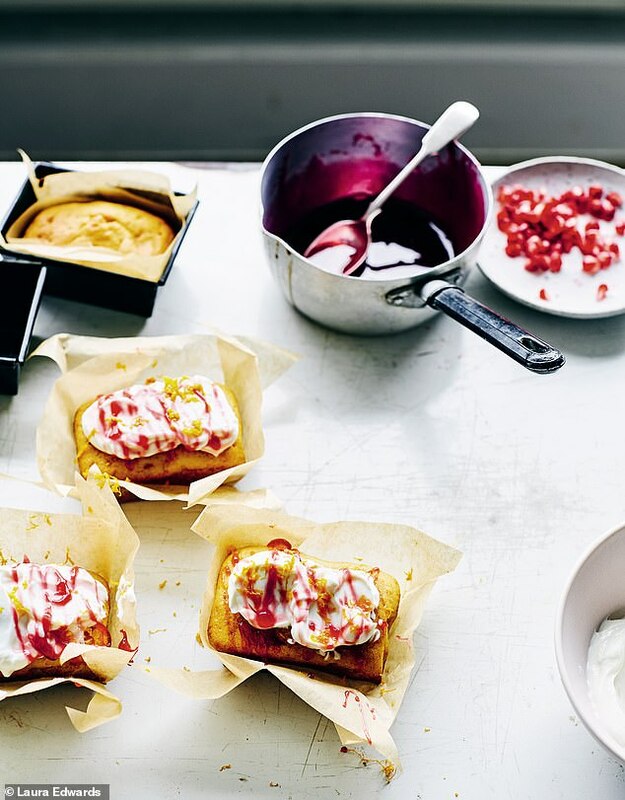 To serve, top each cake with a spoonful of the remaining yogurt and drizzle the pomegranate syrup on top. Decorate with some fresh pomegranate seeds and a little orange zest.